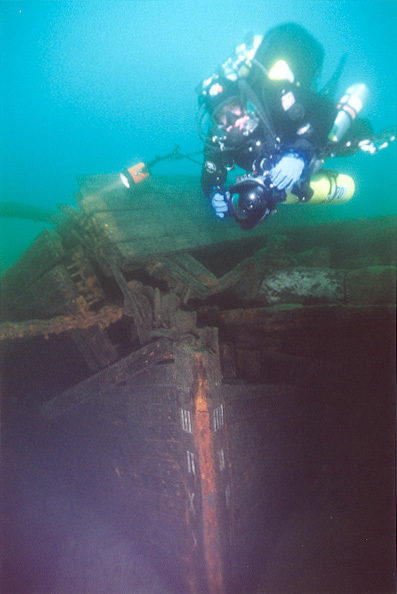 Viennas working life ended in September 1892 in collision with the steamer Nipigon. 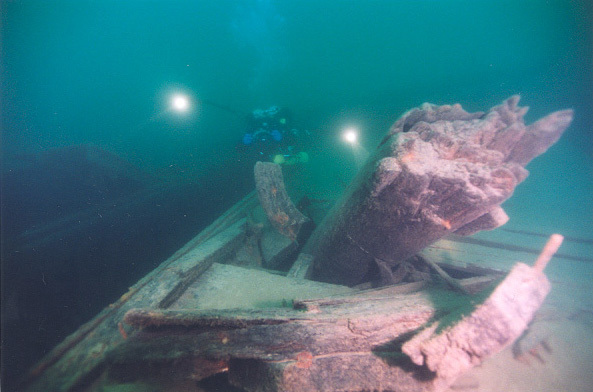 Of the two vessels, Nipigon remained afloat and tried to tow Vienna to the shore. 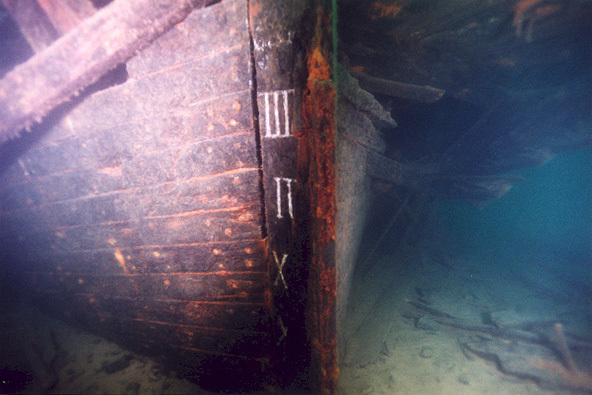 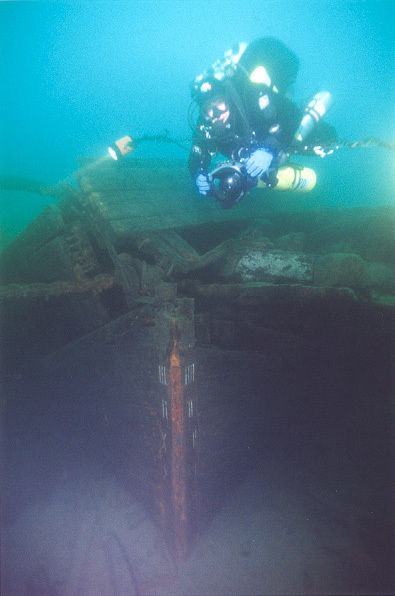 Damage to the Viennas bow was too much for the old ship and she sunk in 150 ft of water within one mile to the shore. 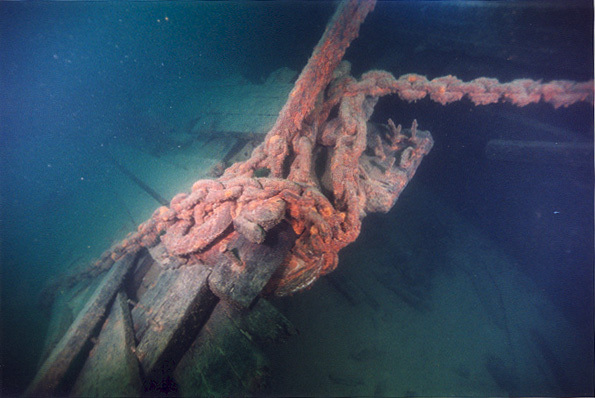 Close to 200 ft long, Vienna was one of those early steamers that also had masts with the schooner rigging. 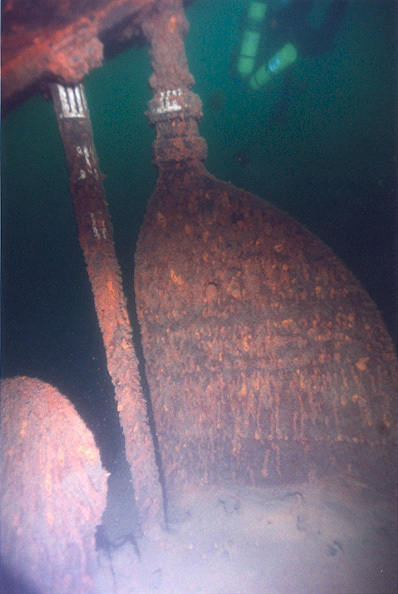 The remains of these masts are still on her deck. 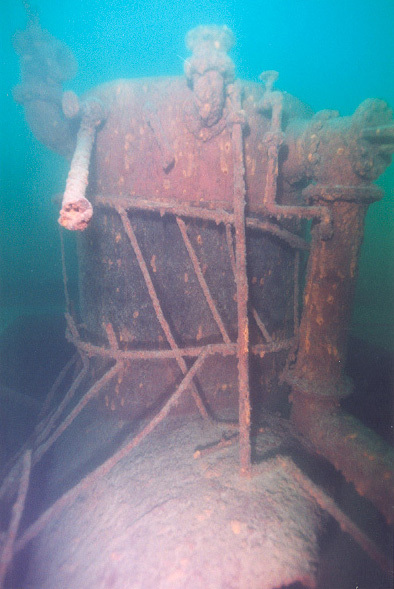 Stern is intact, save the pilot house that was apparently blown away as she sunk, but the prop and rudder are still there as is the stern rail. 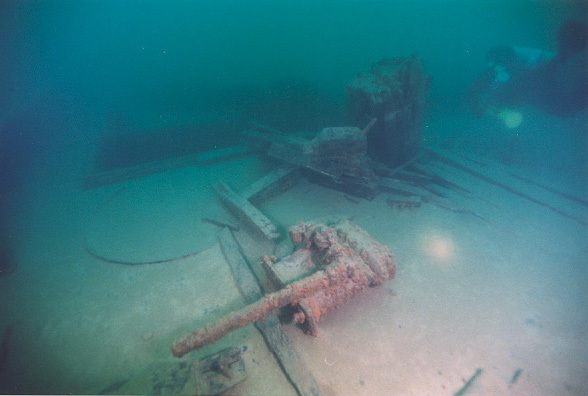 Bottom half of the prop is buried in silt. 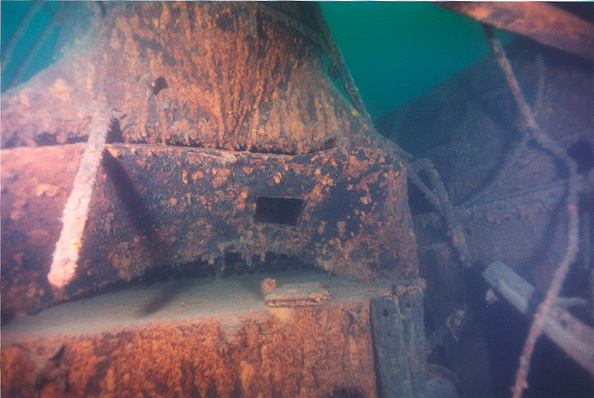 As you get near the prop, look up and try to find the draft marks on the rudder and rudder post. 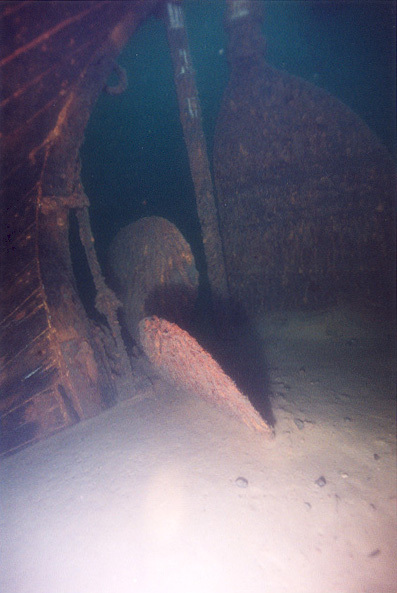 But the prop and rudder are still there as is the stern rail. 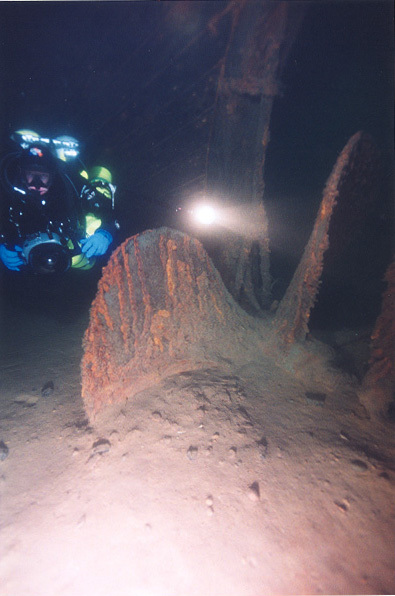 Bottom half of the prop is buried in silt. 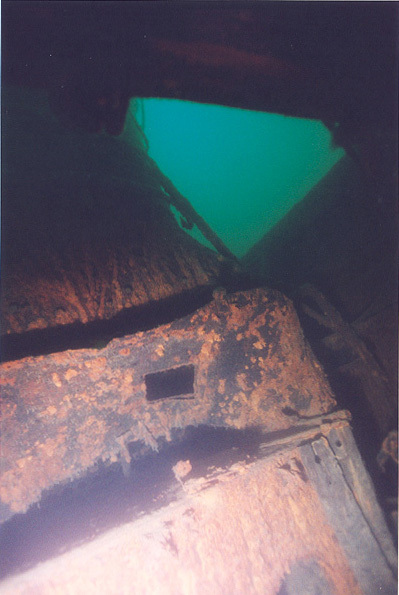 As you get near the prop, look up and try to find the draft marks on the rudder and rudder post. 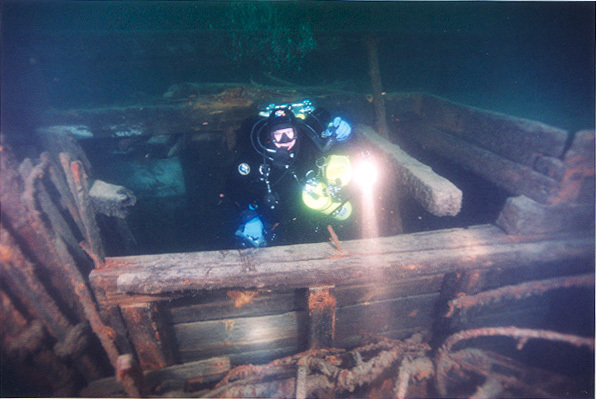 Following from stern to bow, there are some openings in the deck where the stern cabin used to be  going down there one would find a second capstan and few decent sized chunks of coal  a sign the boilers are in close proximity. 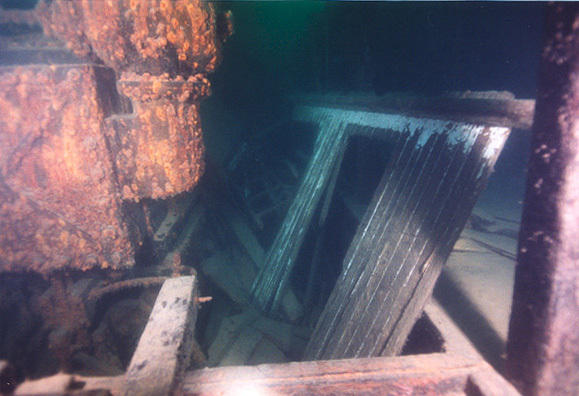 The area around boilers and other machinery is partially collapsed and easily accessible from either top or bottom. 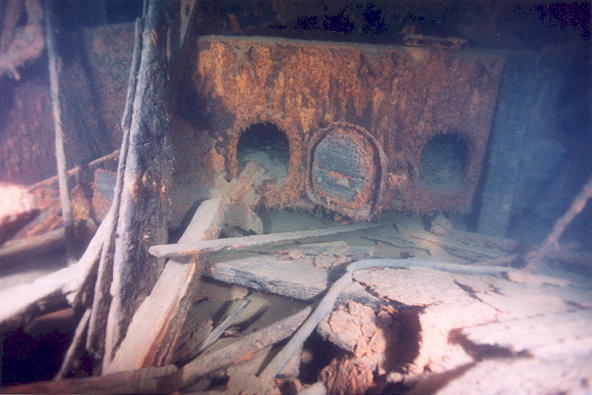 Of interest there are the top of the cylinder head as well as the openings for feeding coal to the boilers. 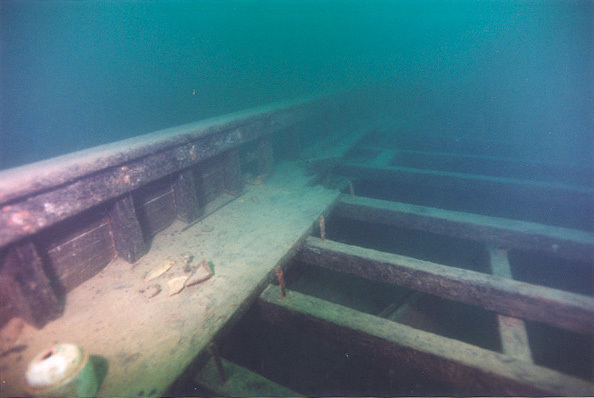 Going further forward towards the bow, one would pass several hold openings as well as few artifacts on the deck, the largest of which is of course a huge and intact lifeboat. 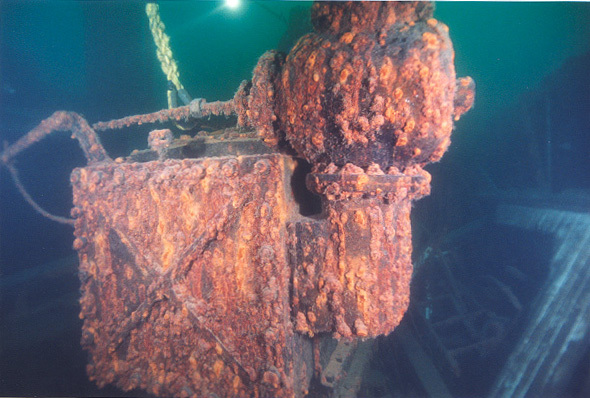 Getting closer to the bow, there is another capstan that still retained its red paint. 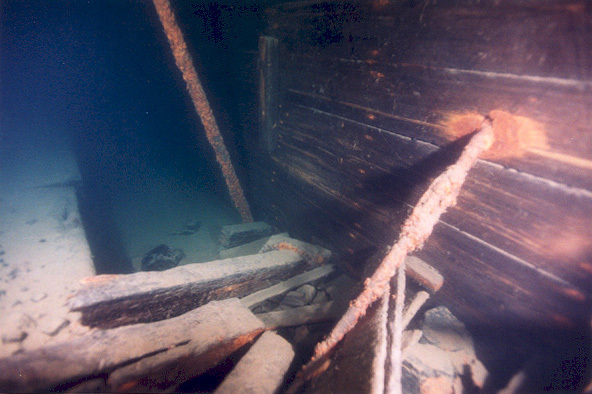 The bow itself shows obvious signs of the collision, but the draft marks are still quite visible. 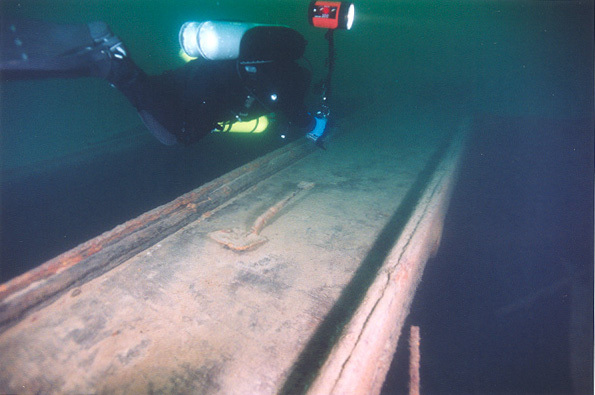 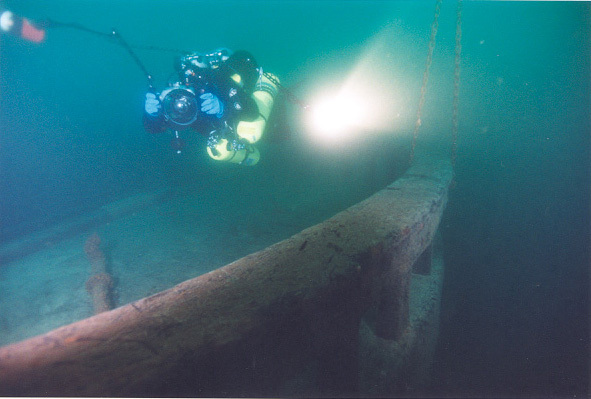 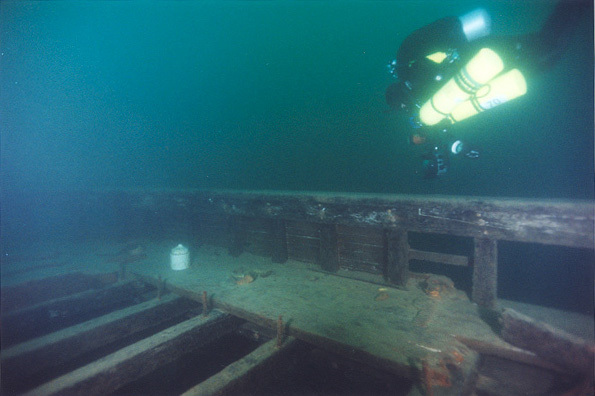 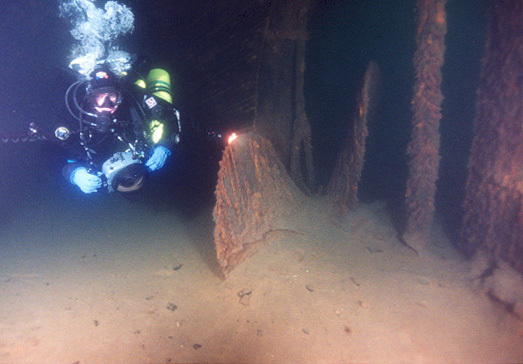 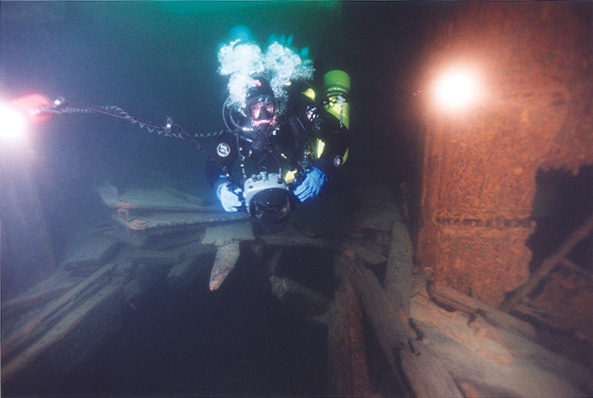 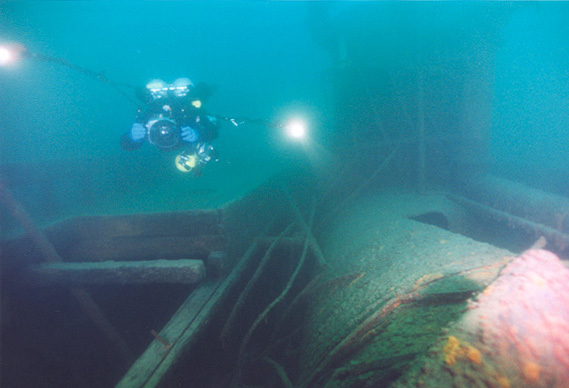 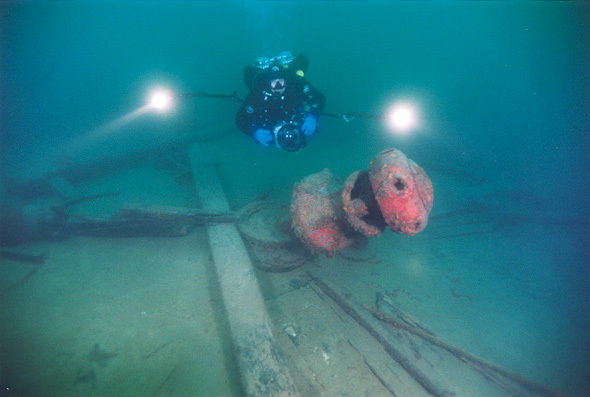 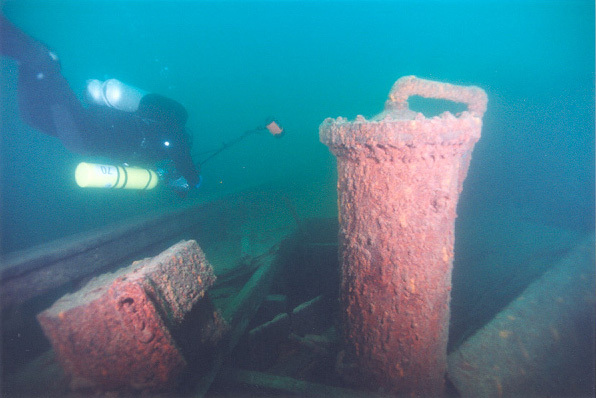 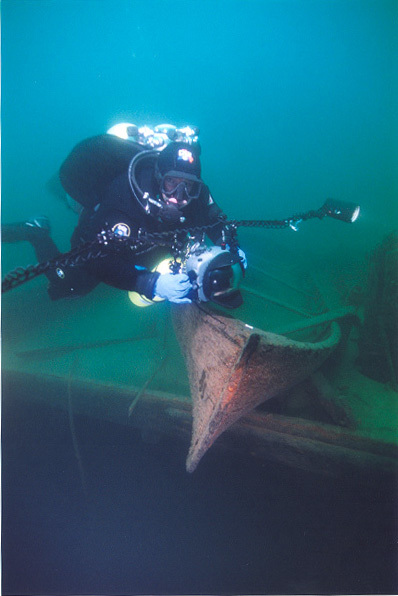 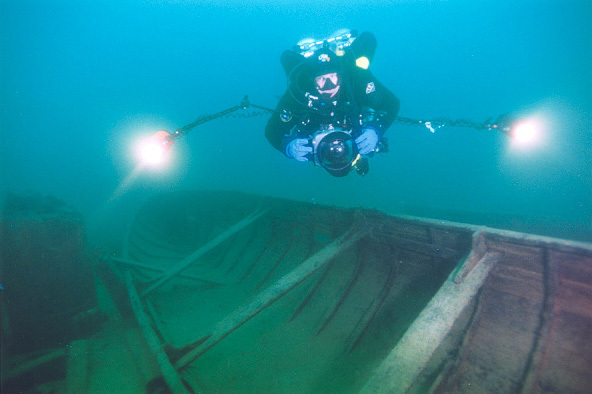 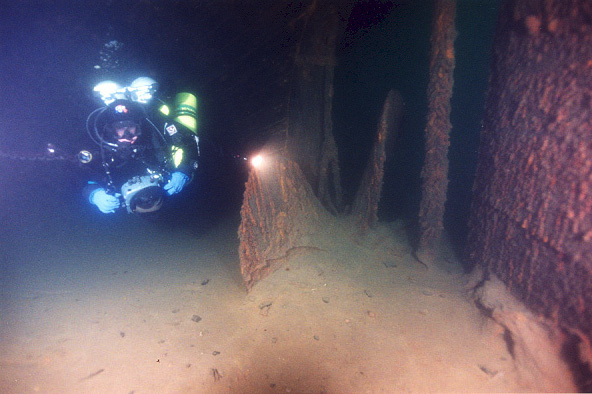 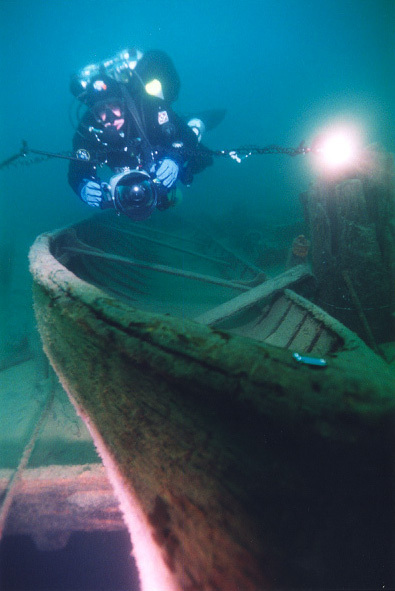 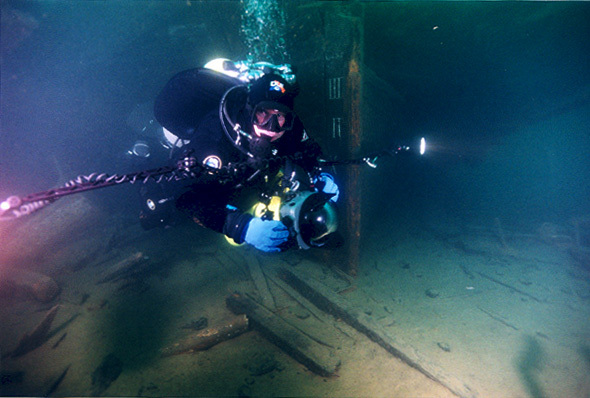 Unfortunately for divers and, I guess, fortunately for non-diving public, amateur archaeologists in the area took some artifacts from Vienna and other wrecks in the area and placed them in the Whitefish Point Museum. 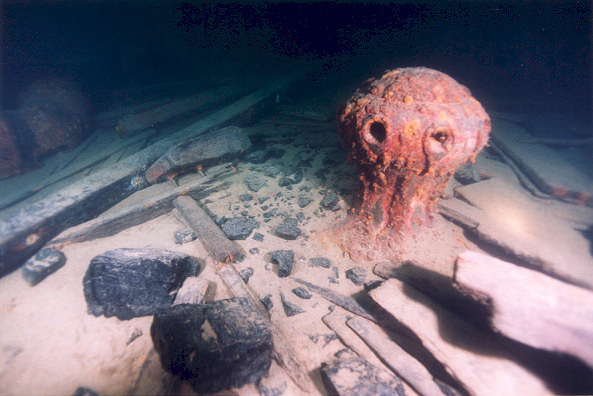 The list of artifacts includes Viennas wheel. 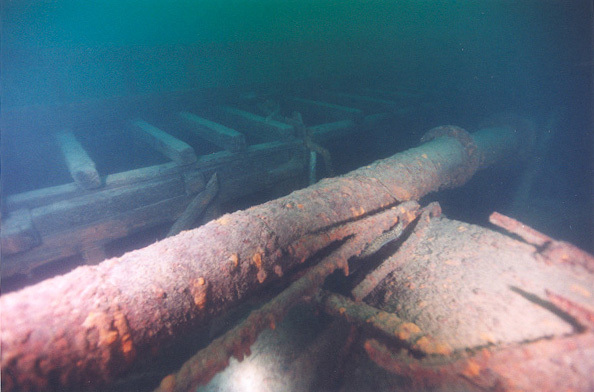 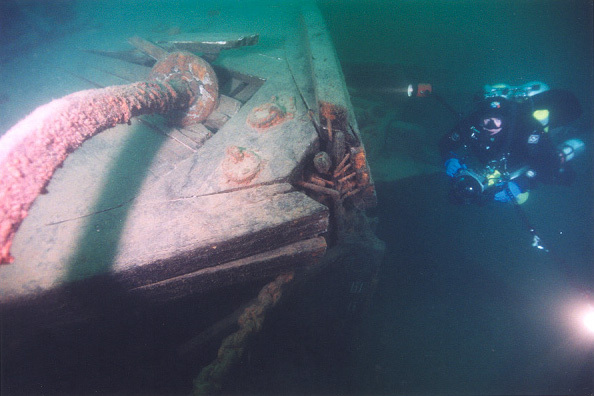 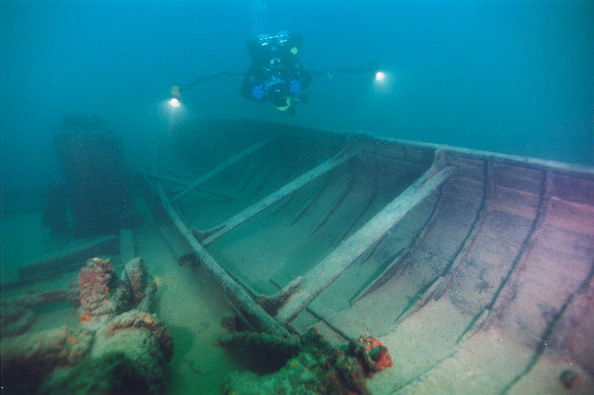 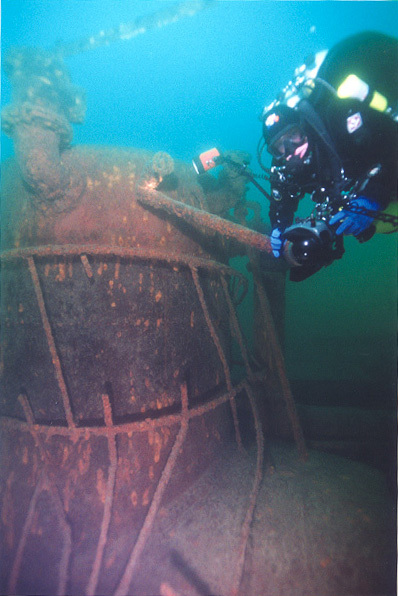 I have never seen the wheel that large on any of the Great Lakes wrecks that I have been to so far. 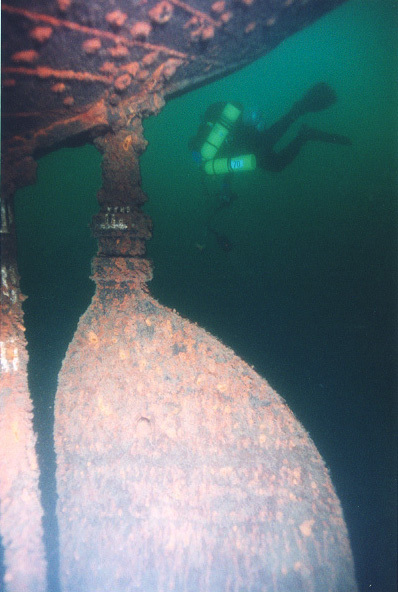 It is easily taller in diameter than my height. 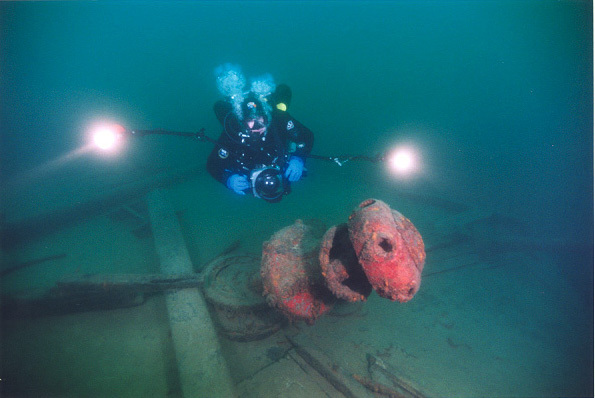 While it is nice to know that all the non divers can see it in the museum, I can not get away from the thought of how beautiful that wheel would look back where it belongs  on the wreck itself.